Corey Schuster started Jackalope Wine Cellars to share his love for wine and to open up the wonderful experience of wine to more people. Corey believes in the community of wine, where people gather to create, taste, and enjoy the beauty of wine. The Community: As one of the ten wine makers at the SE Wine Collective, Corey Schuster is part of the growing community of craft, urban wine makers in Portland. Know Thy Grapes: Sourcing his grapes from three vineyards in the Pacific Northwest, Corey gets to know the growers and his grapes. He wanders the vineyards during the growing season, and works closely with the growers to determine the best time to harvest. Once the grapes are harvested and shipped to his wine making facility in Portland, Corey adapts his wine making style to the flavors of the grapes from that year’s crop. Corey works exclusively with Oregon Pinot Noir and Cabernet Franc grapes from Washington. The grapes ferment at first in vats before getting moved into barrels for the final touches. Corey diligently nurtures his wine as it ferments and ages. From vine to bottle, each vintage is Corey’s personal creation, produced with love and care. Last year Corey produced about 89 cases of wine, but hopes to double his production this year. The Accidental Journey: Corey discovered wine making while on a journey with an unknown destination. 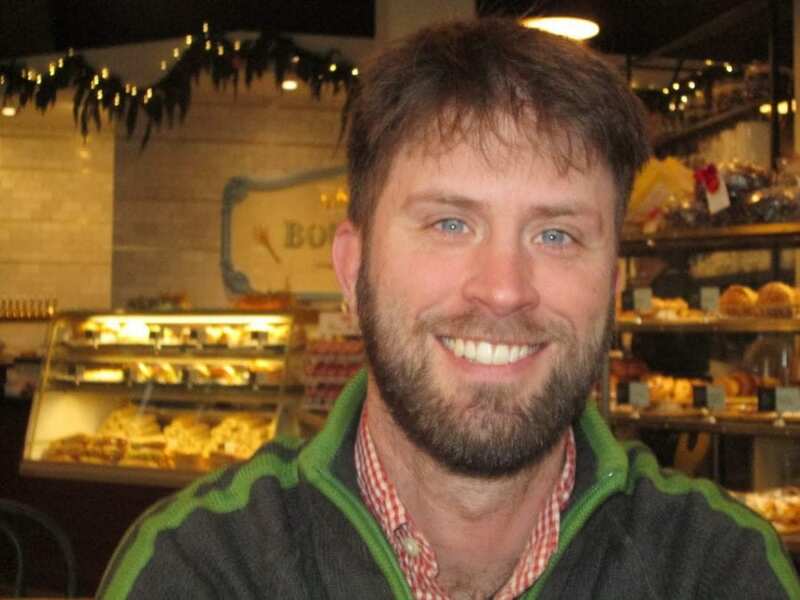 After working for a decade as a civil engineer, Corey found himself at a crossroad. He sold all his belongings and set off to travel the world. He spent quite a bit of time in Southeast Asia, worked on a coffee farm, and explored for about 18 months. His journey eventually brought him to Portland, where he only expected to spend about a year to get to know and experience Portland. Inspired by Refugees and Fugitives: A Walk in Portland, Corey decided to test out the theory here in Portland that you can do anything for a day. He applied for random jobs on Craigslist and kept trying things until, as Corey puts it, his “resume was no longer boring.” Because he liked to drink wine, he applied for and got a job at a small winery. “Finding My Something”: Something about the wine industry resonated within him, and his journey took a new turn. He worked harvest. It was wet, cold, and exhausting, but he loved working with his hands and getting dirty. He started studying how to make wine, worked as a lab assistant, and poured in tasting rooms. Corey soon realized he had found his something – what he was meant to do. Corey belonged in the wine industry as a wine maker. Somewhere around 2012, Corey joined Kate and Tom Monroe, the founders of the SE Wine Collective, in their project as a wine maker and as a manager of the tasting room at the collective’s facility and tasting room/bar on SE Division Street. The SE Wine Collective is where his journey continues today. I met Corey while tasting at the SE Wine Collective. I chose the “Surprise Flight,” where the wine experts behind the bar select what wines to pour for the flight. Corey poured for us and selected great wines! I think it was about in the middle of the flight when our conversation turned to him and I learned Corey was also a wine maker at the collective. Now looking back, I realize it’s his love for wine and belief in the wine community that brings him joy. He is very personable and does not self promote, but openly shares the experience of enjoying all of the wines at the collective. Tasting with Corey was a memorable experience. Get to know Corey and taste his wine and other greats at the SE Wine Collective at 2425 SE 35th Place, Portland, OR. 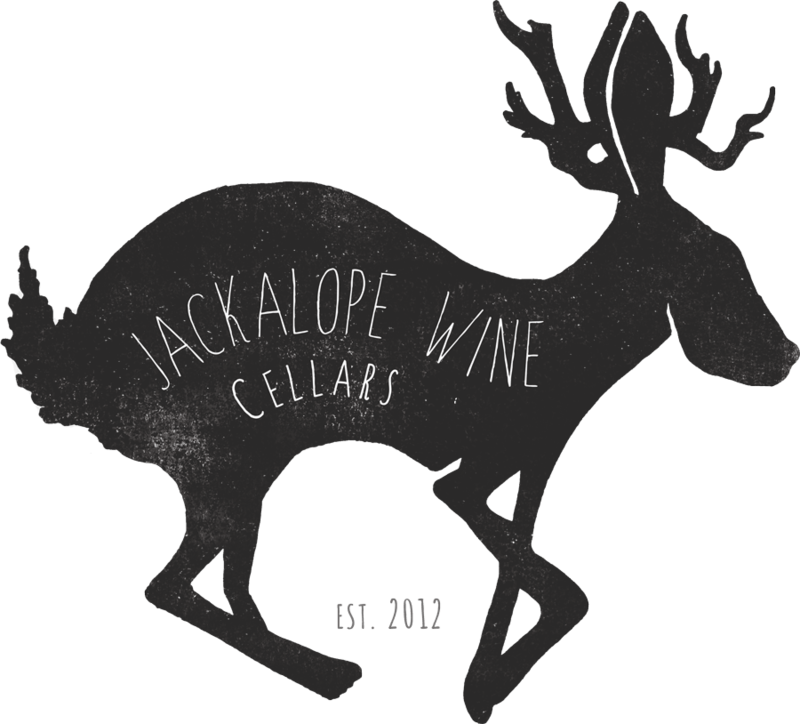 Learn more about Jackalope Wine Cellars and Corey Schuster at the website, www.jackalopewinecellars.com.